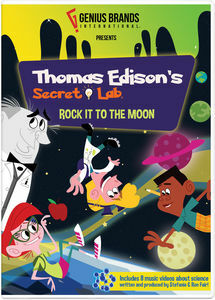 Have you seen the new show Thomas Edison's Secret Lab? They have recently released the second dvd Rock It To The Moon. Featuring Thomas Edison's secret lab and the virtual version of himself plus Von Blot a steampunk robot - this show is really a neat find! It has a cool throw back cartoon vibe which I totally dig. I also love that they don't shy away from vocabulary. For example one episode the word "prototype" popped up on screen so it was an excellent teaching moment. (I love teaching moments!) 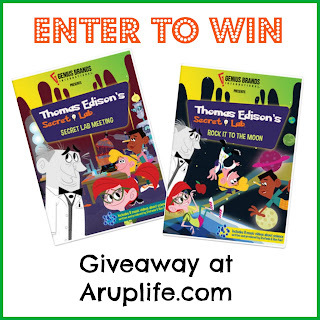 Lots of science in this series it is a great addition to our DVD library! Visit NCircleEntertainment.com to purchase your copies! 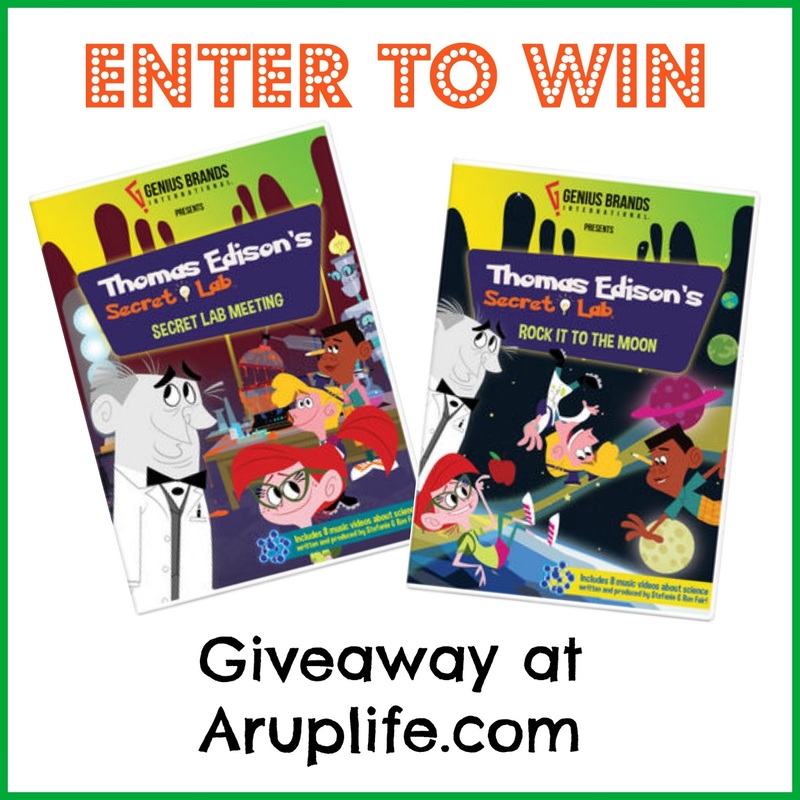 One lucky reader will win two Thomas Edison's Secret Lab DVDs - Rock It To The Moon and Secret Lab Meeting! My nieces will watch this DVD. My daughter will be watching this! My 5 year old and 2 year old would watch the movie! I think they would really like it! My 8-year-old daughter and i will watch this movie together during family movie night (now mother-daughter movie night). Thank you for the chance to win it! My granddaughter would watch it. My oldest daughter would love these. It would be for her. My daughter would watch it.